108 This is another colored-pencil activity I do with my conceptual students. 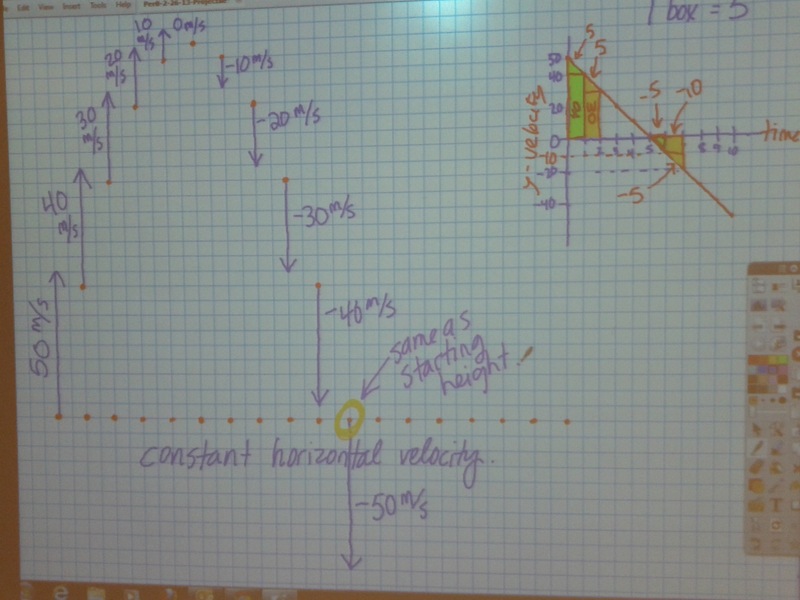 We start with just the vertical motion and then put it together with horizontal motion. Everyone in the class winds up with their own copy made with their own color choices. I used to do this with transparencies on an overhead projector, having photocopied graph paper (red line graph paper, not blue line graph paper) onto the transparencies. I think maybe I ink-jet-printed a couple of transparencies, too. Those water-soluble markers would then get all over my hands, where they were suddenly no longer water-soluble. (WHY???) Anyway, then after a year or so of using the Promethean ActivBoard, I discovered how to put a grid on a page in a flipchart. Bye-bye transparencies! Now I only get out the overhead projector when I need a bright light source for something.